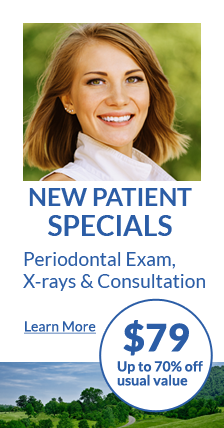 I really enjoy helping patients who come to me for their treatment of periodontal disease. One of the things I like is that it has a preventative aspect to it. That means that we enter into a relationship with the patient in a very respectful fashion, where the patient tends to feel very empowered and happy that they are part of their own care. We work with that patient so they develop the habits and techniques necessary for them to get the best, long-lasting outcome. The second side is what we need to do for the patient, that’s the treatment to diminish the infection or eliminate the infection and correct any damage that’s occurred. We have an instrument here called the Perioscope, and the perioscope allows us to treat the vast majority of patients, eliminating the causes of the disease without doing it surgically. It’s a very, very effective, high-technology, gentle procedure that our patients love.